The Monterey Sling Collection by Windward Design Group offers a perfect choice for residential or commercial needs and is particularly suited to poolside use. This collection features a simple stackable dining arm chair and adjustable chaise with 1 ½” wide x ¾” thick rectangular arms. Both pieces are double-stitched for increased durability for extensive summer usage. 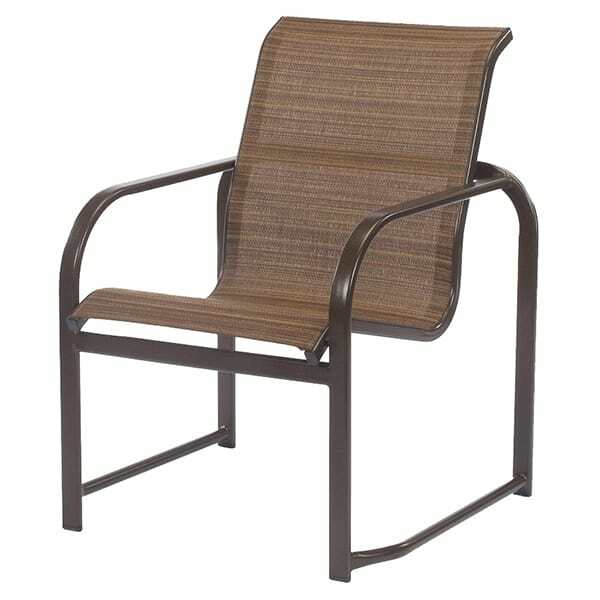 The Monterey Sling Collection is all aluminum; weather and rust proof and requires no special upkeep or maintenance. To store off-season, simply stack it all. Customize the Monterey to fit your particular taste and needs; this collection is made to order right here in the USA.